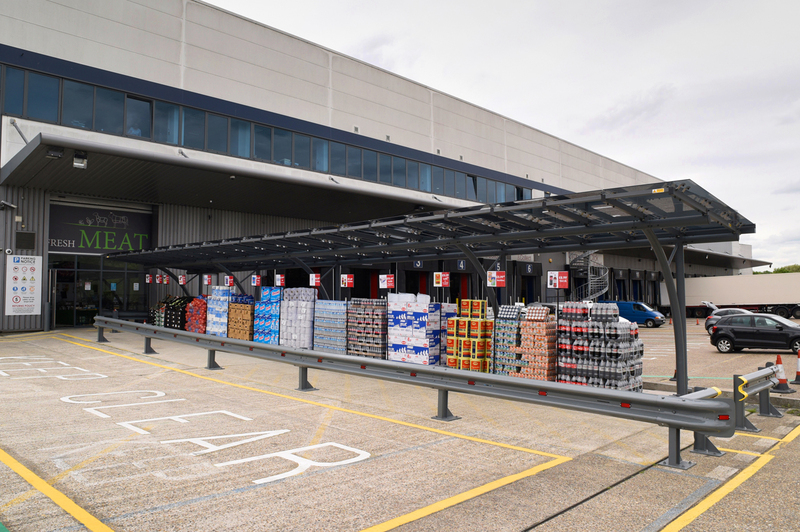 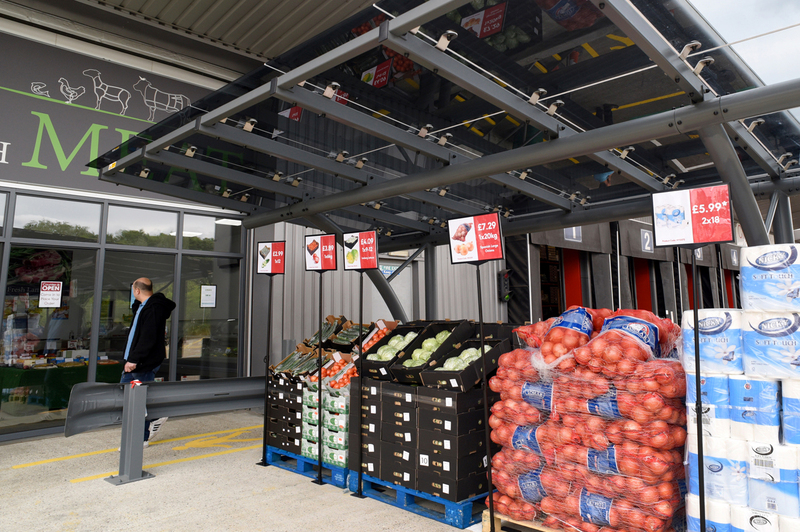 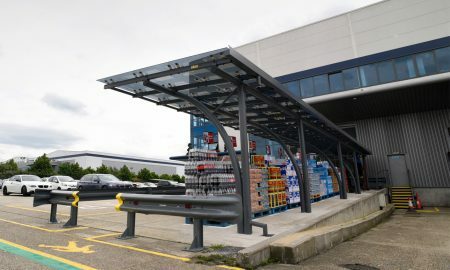 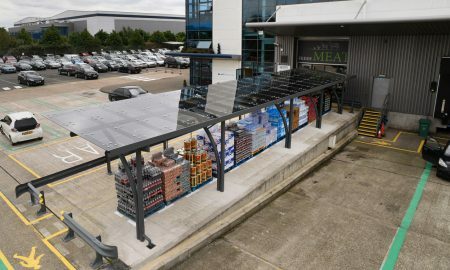 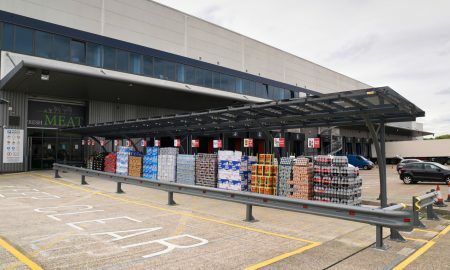 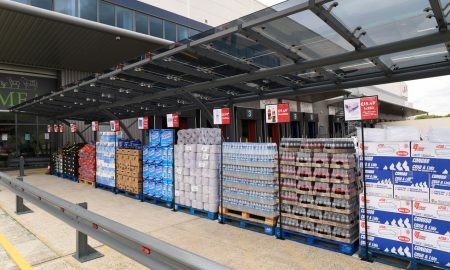 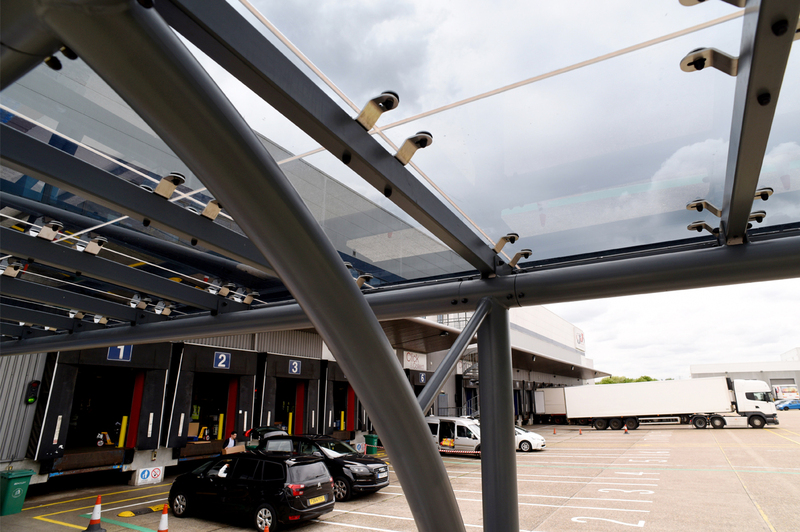 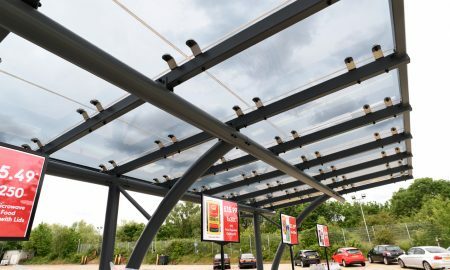 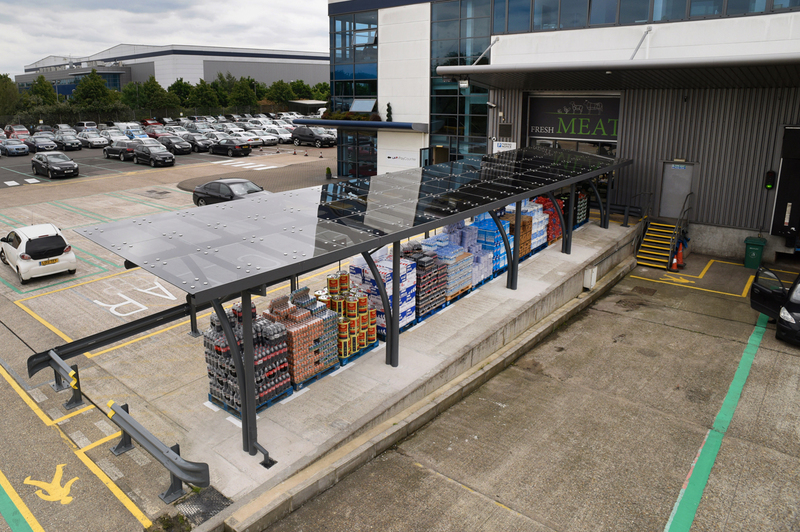 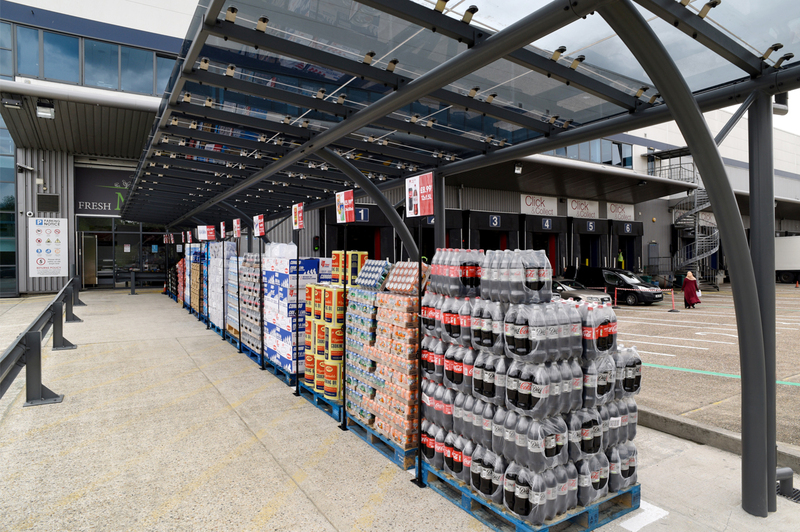 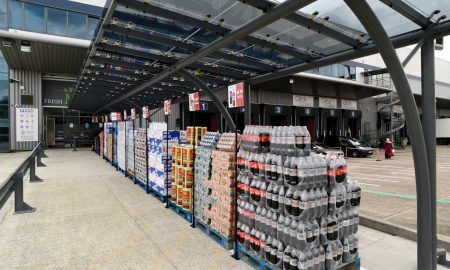 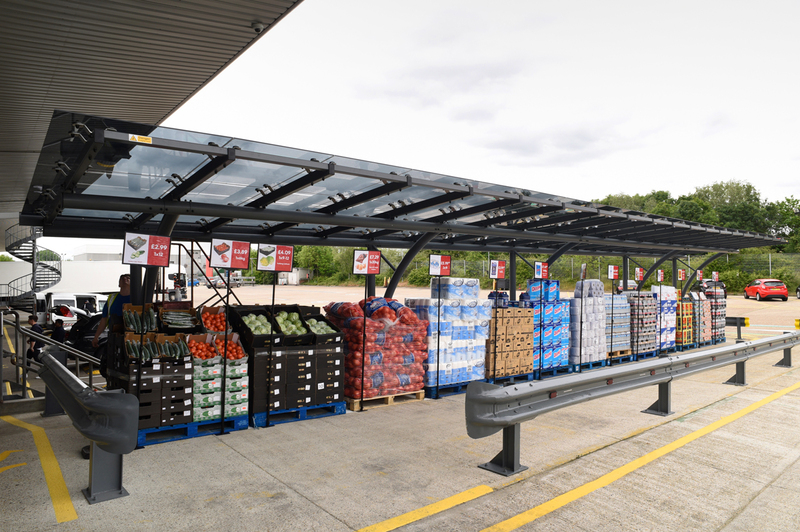 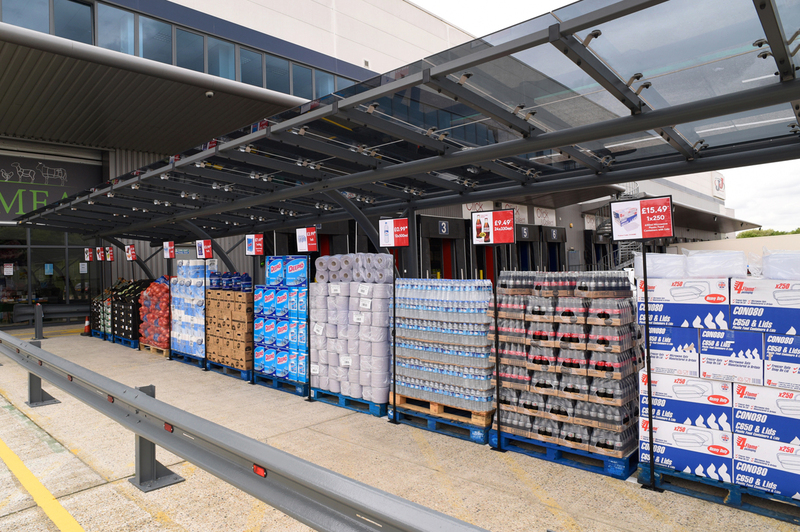 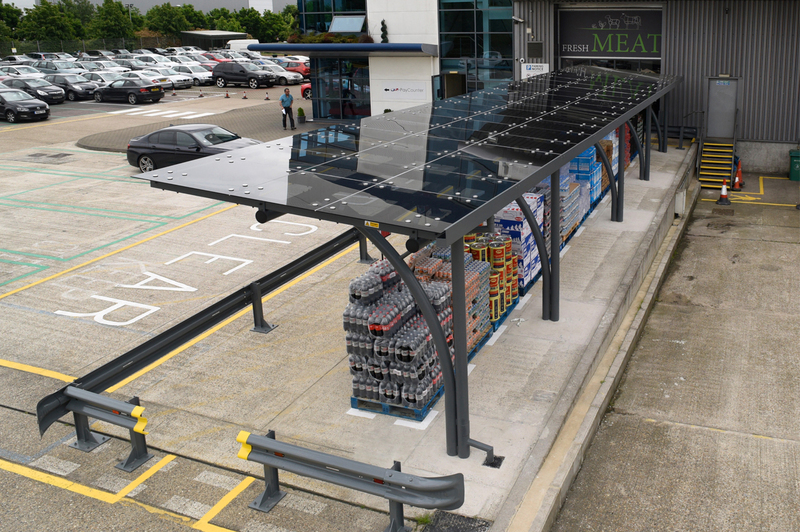 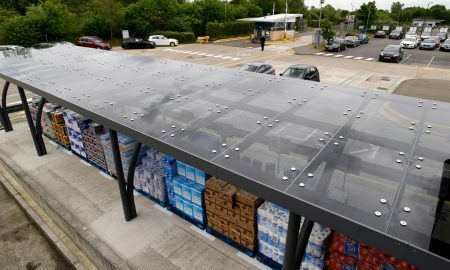 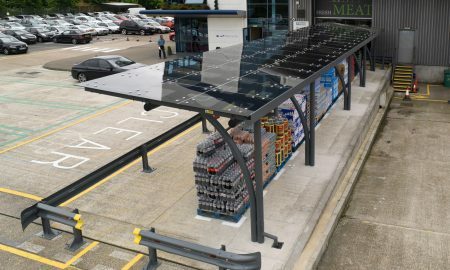 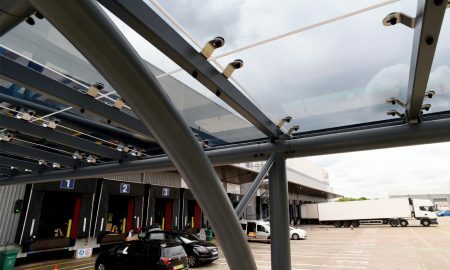 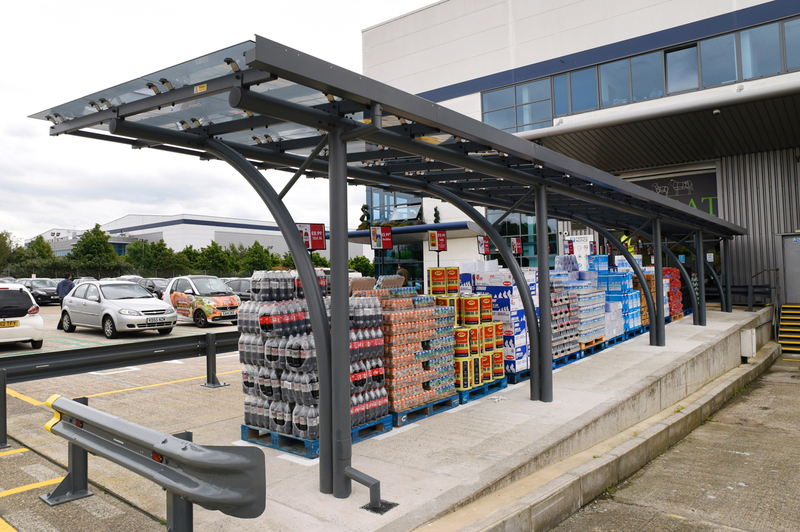 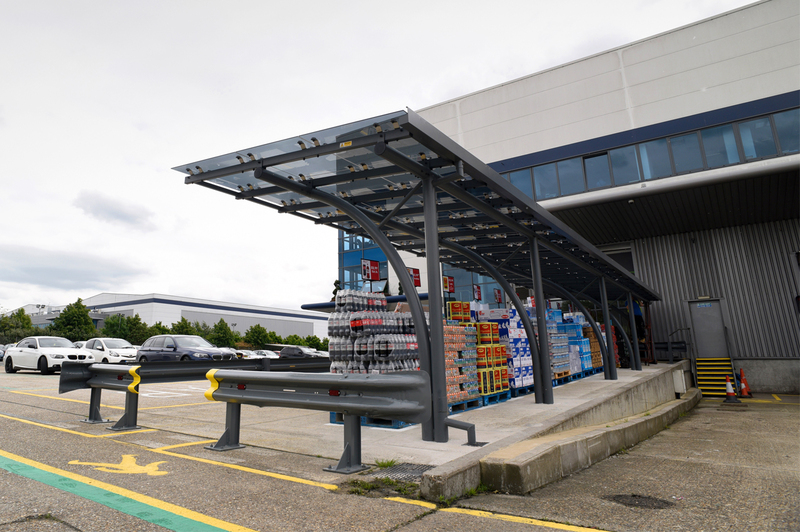 Having already purchased one canopy from Broxap, JJ Foods again turned to the company to create another covered area at their outlet at Solar Way, Innova Park, Enfield. 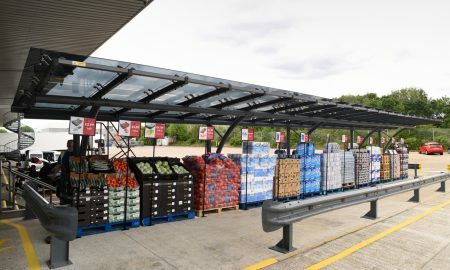 This time the company wanted to create a covered area to store food produce and household goods that could be purchased by customers. Wishing to create something a little more spectacular they asked if it would be possible to have a glazed canopy, Broxap said “no problem” and produced a version of their Cambridge Cantilever Canopy in a monopitch style with a glazed framework roof (Planar Glazing System with pressed steel spider supports, glass joints silicone sealed on installation with grey tinted 10mm heat soaked toughened glass). 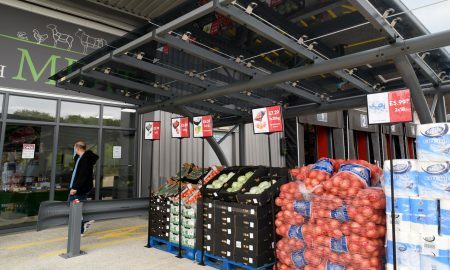 Intergral guttering discharges rainwater via uprights to ground level and the galvanized steel framework is powder coated to RAL 7012 Basalt Grey. 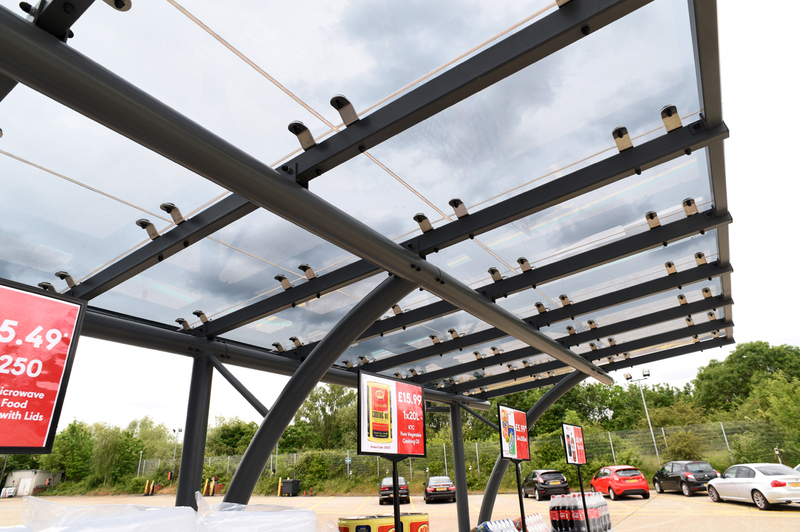 The glass specification was subject to structural calculations and was confirmed ok by the local council and fire office via the client. 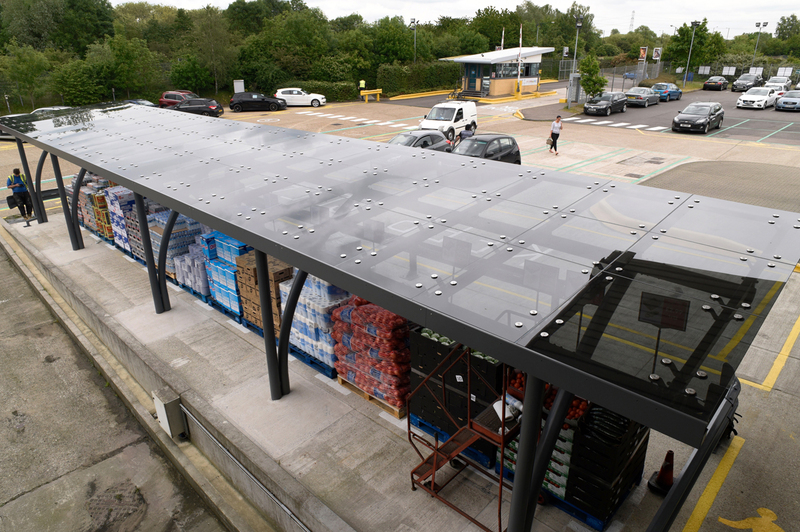 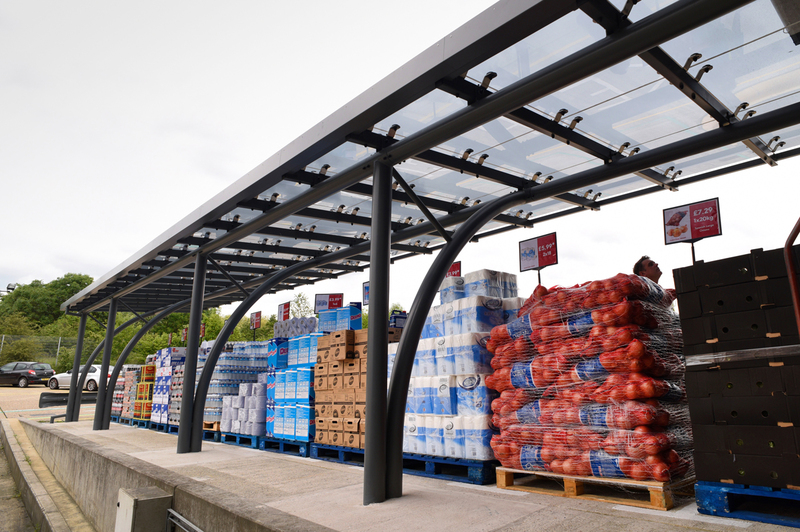 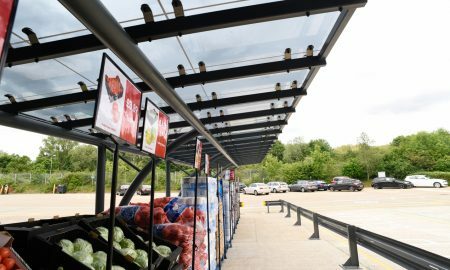 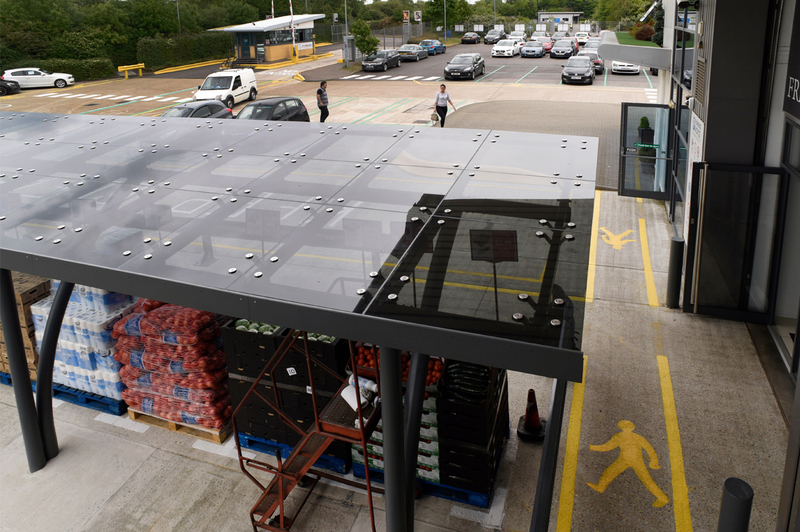 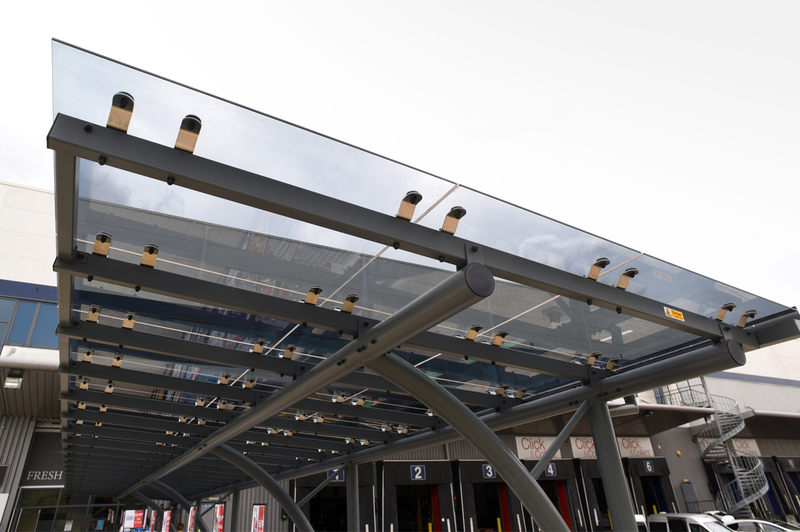 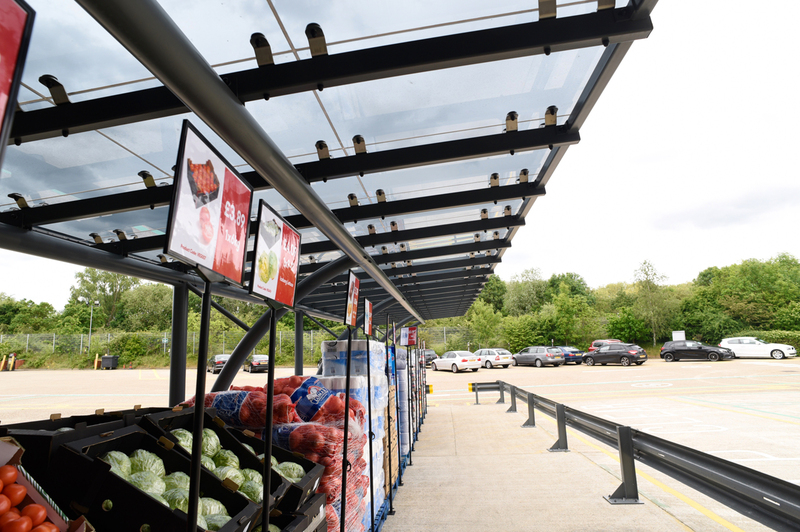 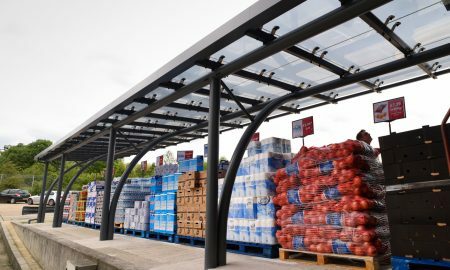 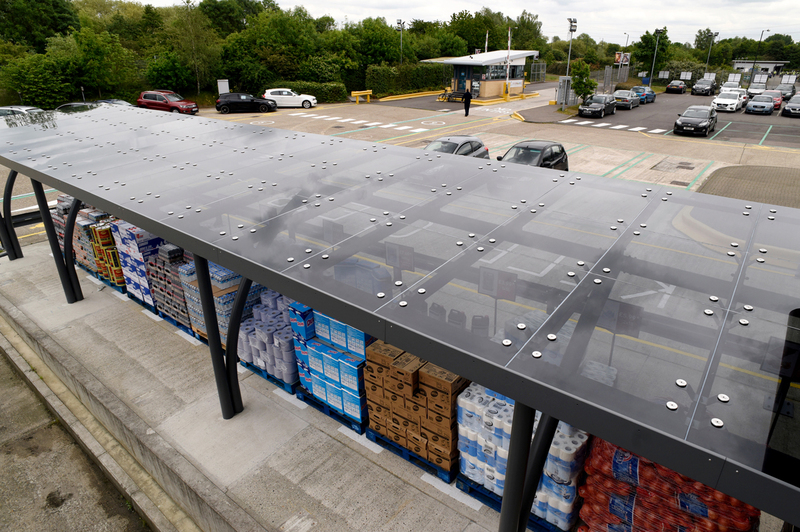 The finished result give a stylish glazed ‘market’ themed canopy allowing produce to be stored beneath during rainy weather and even on sunny days. 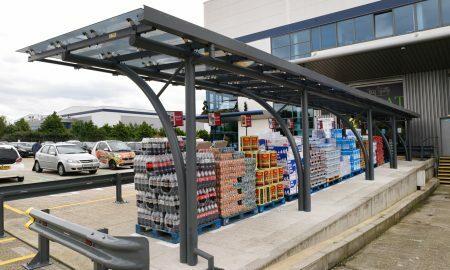 The structure has dimensions of 18600mm long x 3500mm wide with a height of 2300mm to rear and 2600mm to front.